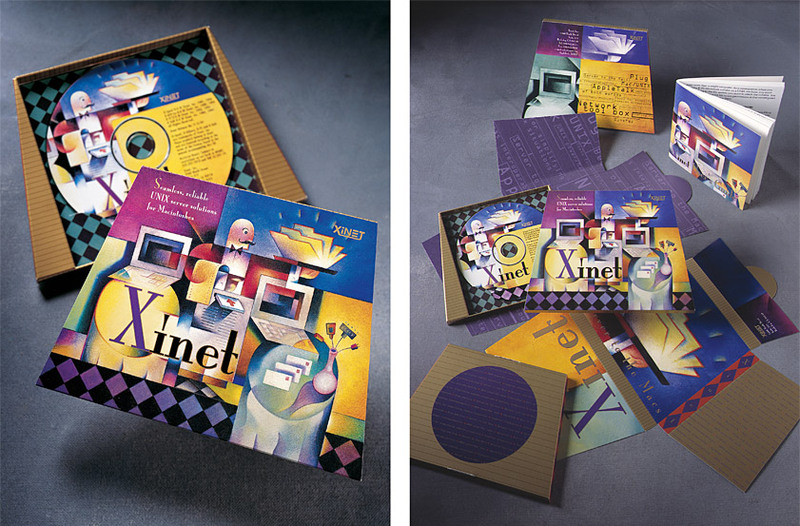 Xinet is a leading Mac-Unix server software program for digital asset management targeted towards the electronic prepress market. Our solution uses the metaphor of a restaurant “server” to symbolize prepress software that is able to share files between two computer platforms. The unique trapezoidal shape allows the product to stand out in a retail environment as well as on the end user’s shelf.